Sleep As A Basic Human Right : Shots - Health News Arianna Huffington says we're in the midst of a sleep deprivation crisis and that Donald Trump really shouldn't be bragging about needing only four hours of sleep a night. Arianna Huffington, co-founder and editor in chief of The Huffington Post, says we are in the midst of a sleep-deprivation crisis that creates anxiety, as well as exhaustion, depression, a higher risk of motor vehicle accidents — and overall sleep-deprived stupidity. 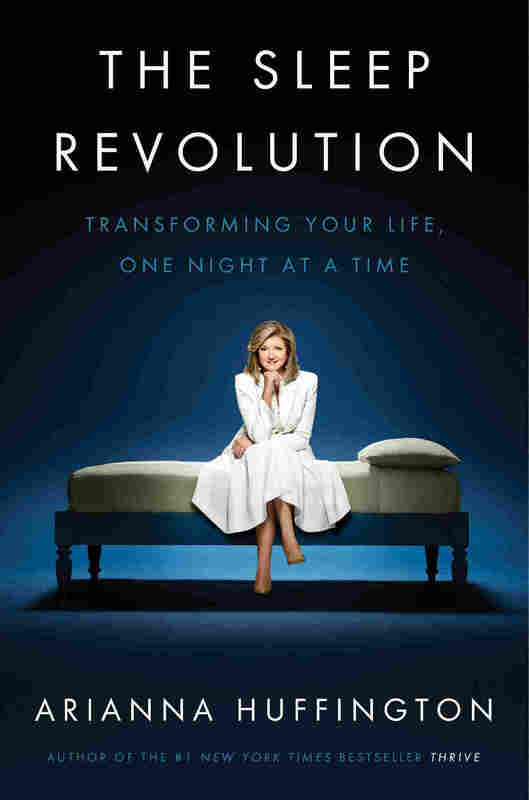 NPR's Scott Simon talked with her about her new book, The Sleep Revolution: Transforming Your Life, One Night at a Time. You had a kind of wake-up call on this subject, didn't you? Yes, actually nine years ago, April 2007. I collapsed from sleep deprivation and hit my desk on the way down and broke my cheekbone; that was my wake-up call. [It made me think about] changing my own life, understanding the science behind the need for sleep, and also looking around and seeing how many millions of us are in states of perpetual exhaustion to the point where it becomes the new normal and we don't even notice it. Isn't there a kind of macho attached to people who feel they only need a little sleep to function? Oh, absolutely. There's a tremendous braggadocio going on. I had dinner with a guy recently who bragged that he had only gotten four hours sleep the night before. I didn't say it, but I thought: "This dinner would have been a lot more interesting if you had gotten five." You talk about sleep as a basic human right that we have not ranked among the right not to go hungry, the right to freedom of expression — that sort of thing. It's a right that has been violated both in workplaces, where employees have been expected to be perpetually on, and by us, because we have so minimized the importance of sleep. I will point out that Donald Trump says he gets by on just about four hours of sleep. Any reaction to that? Yes, in fact, he displays every symptom of chronic sleep deprivation as described by the American Academy of Sleep Medicine: difficulty processing information, paranoid tendencies, mood swings. The way he made statements that he actually had to retract, like banishing women who have abortions, shows that sleep deprivation is a slippery slope. How many times have you been doing interviews for this book and somebody has pretended to fall asleep on you? Oh, it hasn't happened — are you about to do it? I would consider it a compliment.